Sri Lanka, an island in the Indian Ocean attracts five varieties of turtles. Turtles are pre-historic creatures that have been in the ocean for millions of years. However, due to human activities they are an endangered species. We visited a Turtle Hatchery and learned many interesting information. In the Turtle Hatchery, the turtle eggs are protected from poachers and predators. Humans considered turtles and their eggs to be a delicacy. Turtle shells are sold for profit and are used to make a variety of products. Turtles compete with humans for seafood, which makes it hard for them to survive because of fishermen with large fishing devices. The beaches that sea turtles need to deposit their eggs are used by humans, making it difficult for them to find a place to lay their eggs during mating season. Female sea turtles only lay their eggs on the beach they were hatched and will not return to see their young ones, so when humans take over their land they do not hatch any eggs. Sea Turtles are very respectable creatures they mate for life only with one partner and if they are captive they will choose not to mate or reproduce. The female turtles depending on their species hatch 80 to 120 eggs about five times in a season. However, not all their eggs survive. For every 1000 eggs only one mature adult turtle survive to live for at least 80 years. At the Turtle hatchery, the tour guide showed us the soft turtle eggs that felt very delicate and wobbly. We saw the eggs labeled and buried in a protected environment so it could hatch. Then the hatched baby turtles are carefully placed into tanks. There are 3 separate tanks that keep turtles that are one day old, two days old and three days old. We got to touch the baby turtles and feel them gently. We did see a big difference in their growing strength. After the third day the turtles are ready to begin their journey in sea. We saw some turtles kept in captivity because they were found injured in the sea mostly due to fishing and have a poor chance of surviving in the wild. Here are details on some of the turtles we saw. Green turtles: Their cartilage and the fat deposits around their internal organs are green. There are about 80 to 150 cm in length and weigh up to 130 kg. Loggerhead: Massive heads, strong jaws and reddish-brown shell. Leatherback: Largest of all turtles that can group up to 3 meters and weigh about 600 kg. Leatherback refers to their unique carapace. With its flexible shell it can dive to depths of 1500 meters in search of deep-sea jellyfish. Even in tremendous water pressure its shell does not break. Hawksbill: Relatively small turtles. Adults weigh about 50kg and measure up to 90 cm. It has a narrow birdlike beak to catch animals hiding in small crevices. People around the world have killed the Hawksbill turtle for their beautifully patterned shell and have crafted into "tortoiseshell" ornaments. Olive Ridley: Smallest sea turtle that measures 65 cm in length and the adults weigh less than 40 kg. These omnivorous creatures eat fish and marine vegetation. Since Turtles are critically endangered, I am glad that there are hatcheries found along the southern coast of Sri Lanka that are trying to help the turtles survive. This eco-tourism is a wonderful opportunity that gives us a chance to learn and help protect turtles from becoming extinct. It would be better if the government and other environmental groups put more support and awareness, so we can prevent Turtles from becoming extinct. 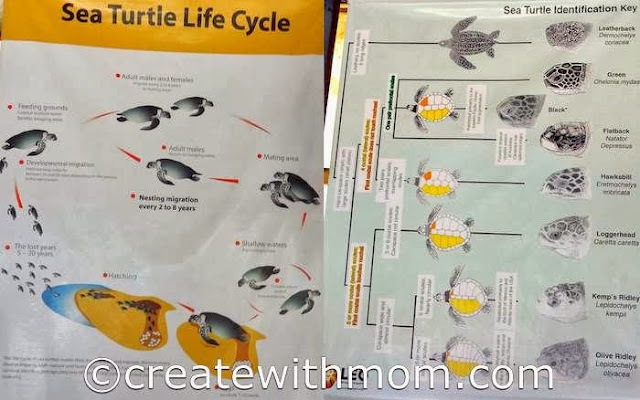 I didn't know all these details about turtles before visiting the Turtle Hatchery; I hope more people will support it by visiting these types of eco-tours. That is so fun. My whole family would enjoy that place..
Great coverage! What an amazing insight into nature! It's such a shame that turtles are so endangered! They are such beautiful creatures! Thanks for sharing this! How interesting! I didn't realize that turtles would only lay their eggs on the beach where they were born - humans have taken over or destroyed so many beaches that the hatching areas must be very much diminished. Sad. That's an interesting article on the turtles. They are so cute! I'm happy the eggs are safe. how sweet is that? I would love to take my grand children there. Oh my goodness! So Sweet! I'd love to see this first hand!